The TMP6100 is the most versatile PINSTAMP® marking head. It is easily integrated into either on or off-line applications. 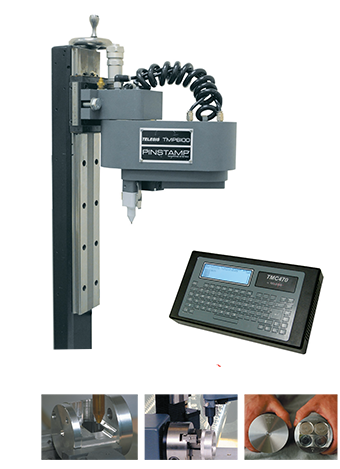 Since the marking pin can be positioned anywhere in the generous 6" x 12" (152mm x 304mm) marking window, the TMP6100 can mark any character height, style or number of lines desired. Its robotic design allows clear access to the marking window for loading and unloading of parts. 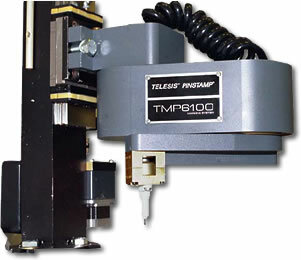 "The TELESIS Model 6100/470 is a top quality product. They run 6 days a week, 10 hours a day, all day long, and they are ‘bulletproof’. I'd recommend the TELESIS dot peen (Pinstamp) to anybody who needs that type of product marker. It is one of the best machines that we have."